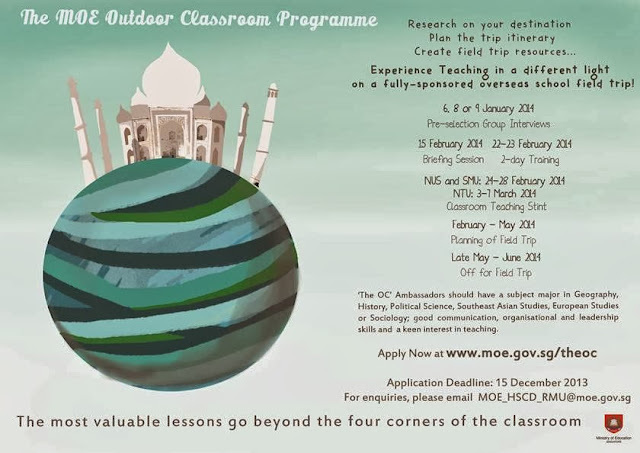 If you are interested in teaching as a career, join MOE Outdoor Classroom 2014! It will be an extremely enjoyable experience and it will be a fully sponsored trip! Do take a look at the poster for more details and apply to MOE by 15 December 2013!